Enryakuji is in Otsu, Shiga Sakamoto, is the temple of the Tendai sect head temple of Saicho was founded. 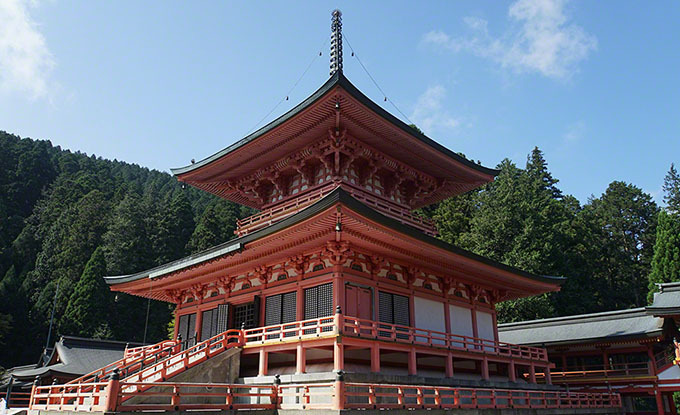 Enryakuji Temple is located in the Mount Hiei summit in Kyoto and Shiga of the border, it is a large temple consisting of three regions of the To-do, Sai-to, Yokawa. Enryakuji has been a World Heritage Site as part of the “Historic Monuments of Ancient Kyoto”.